How do i remove a foreign language in Google Keyboard? Not sure how this end up in my N7 II, but i am unable to remove it ..
Settings/language & input............... scroll down and pick the one you want. thanks for your comments ... i have tried that, but the unusual thing is that I am unable to locate the "korean" language - which i want to remove .. Interesting I have 6 keyboard options (Kit Kat) with English at the top like yours. Korean is my 3rd option. Your screen shot seems to infer 2 are defaults. 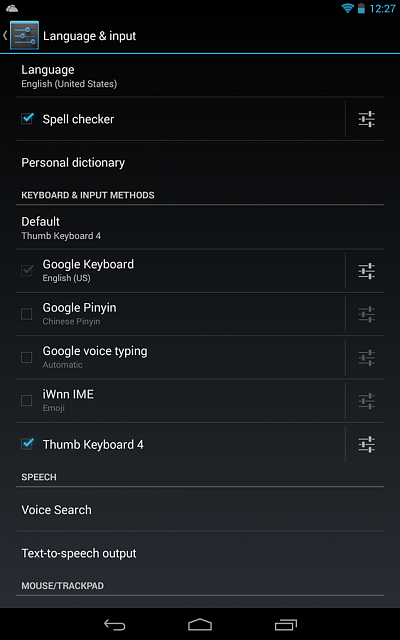 Have you tried uninstalling Thumb Keyboard to get you semi back to stock? seems to be there, after install, it is ok...i will wait for the new kitkat update and see if i can remove it ..if not ..i will just keep it "disable / sleep" mode.. I'm pretty sure the other language keyboards can only be disabled, not uninstalled, since they are preinstalled system apps. 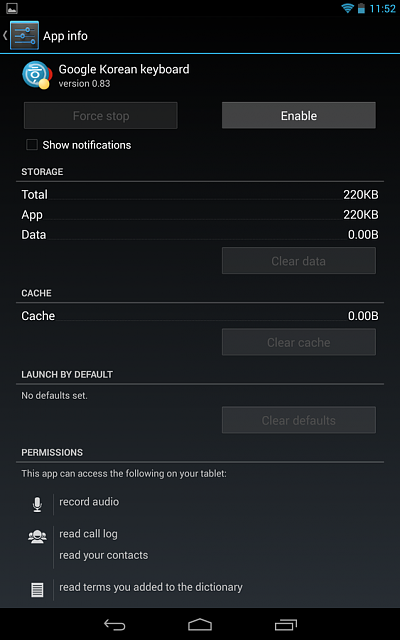 I have had the Korean language from day one on nexus 7 2013. Can't uninstall but it causes no problem. How do I make this forum a favorite? Do you think the dev edition will get more options?